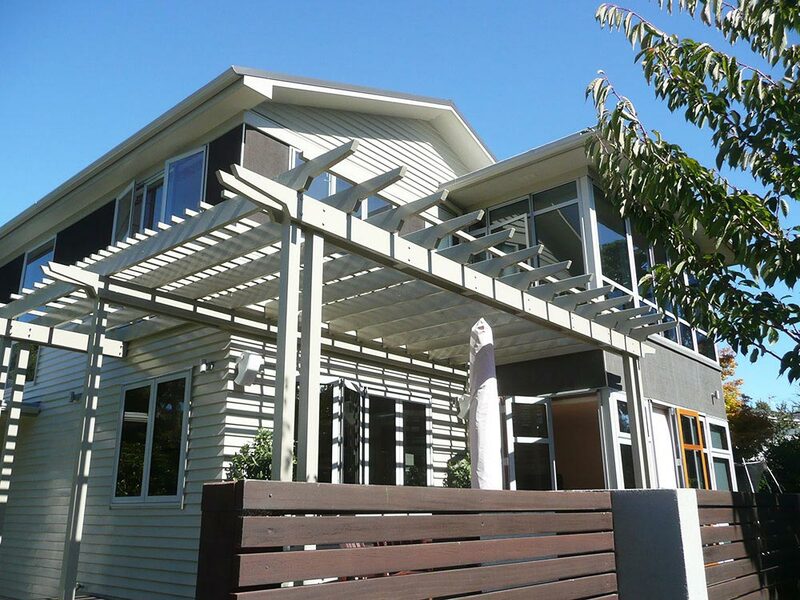 Relocating was not an option for the owners of this central Lower Hutt home. However, faced with the changing needs of a growing family, urgent reinvention of their much-loved but dated dwelling was required. We quickly recognised that a constrained site ruled out a simple ground-level extension. Instead, we developed plans for a second-storey addition that would take advantage of the sun while retaining the peace and privacy the family enjoyed about their original home. By making the decision to extend upwards instead of outwards, we also created an opportunity to rectify some of the flaws inherited from the existing layout, and optimise spaces for family living, fresh air and light. The result is an elegant extension that rises seamlessly from the foundations of the original home. Relaxed family areas now flow into spacious areas for entertaining on the ground floor. Upstairs, the new addition accommodates four generous-sized bedrooms. The design of the reinvigorated building provides a thoughtful balance of old and new; respecting the past while also introducing a sleek, contemporary edge that serves the practical needs of the busy family who call it home.